The most challenging part of being an agent is getting your listings in front of the right people at the right time. Fortunately, Google Display Network is helping to change that. This tool allows us to post our agents’ ads across a multitude of websites and platforms to gain as much exposure as possible. 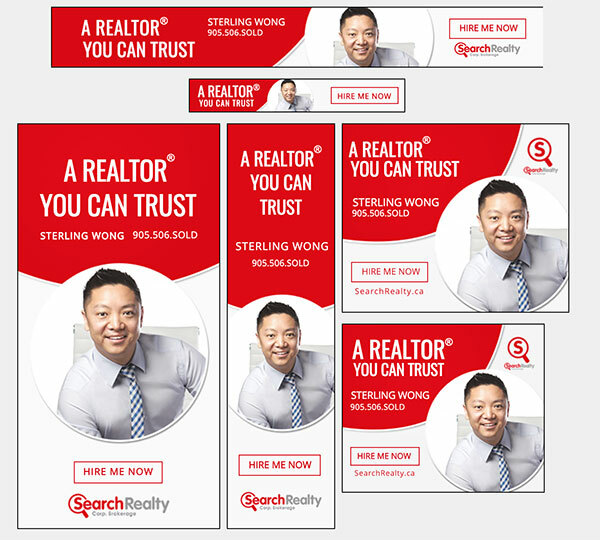 Join Search Realty today to take advantage of this hyper-targeting tool that connects you with the right consumers! At Search, we partnered up with Google to gain extensive reach for our agents’ ads on relevant platforms where interested buyers are most active – blogs, top news, and content sites. These work in collaboration with the Google Search Campaign, targeting those who are not actively searching for specific keywords, but rather browsing through pages on related topics, interests, and locations. 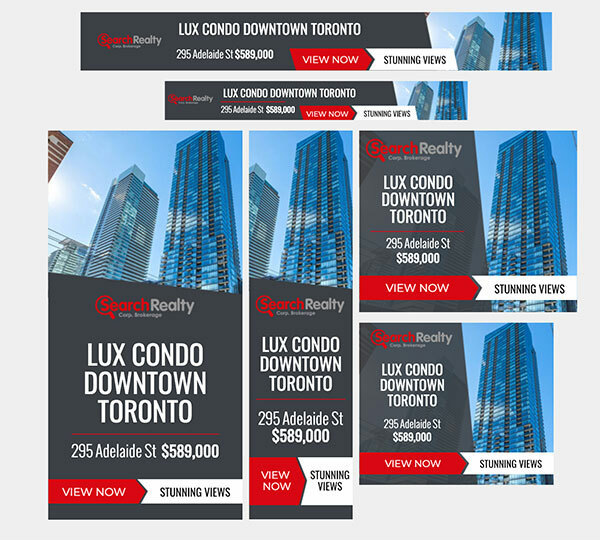 With Google Display, you have the ability to farm a specific city, postal code, or building to target a specific buyer or seller and accelerate your transactions so you can earn more. 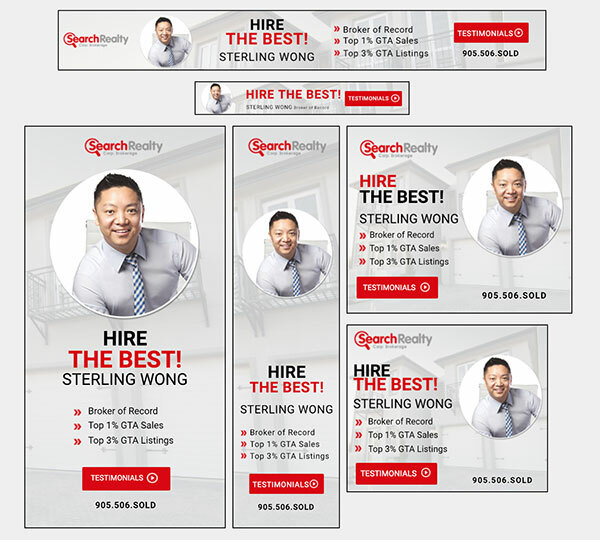 Examples Of Search Realty Ads. The following digital advertisements are created using HTML5 which are interactive ads that move. These help to catch and maintain the viewer’s attention more effectively than traditional ads, while increasing user engagement. This entices your target buyer or seller to click-through to your website and learn more about your real estate business. Even if there are no immediate listings that peak their interests, they’ll be added to your email list which can then be used for retargeting purposes. Learn Why Remarketing Campaigns Are So Effective At Attracting More Clients And Business.